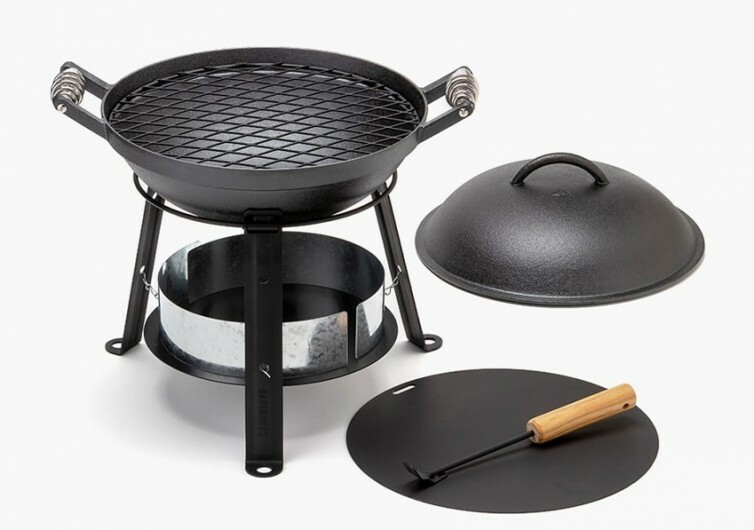 Featuring super-durable, heavy-duty, solid cast iron construction, the Barebones is a 9-in-1 cooking implement that can turn any outdoor adventure into a gastronomic experience worthy of a star on the Michelin guide. 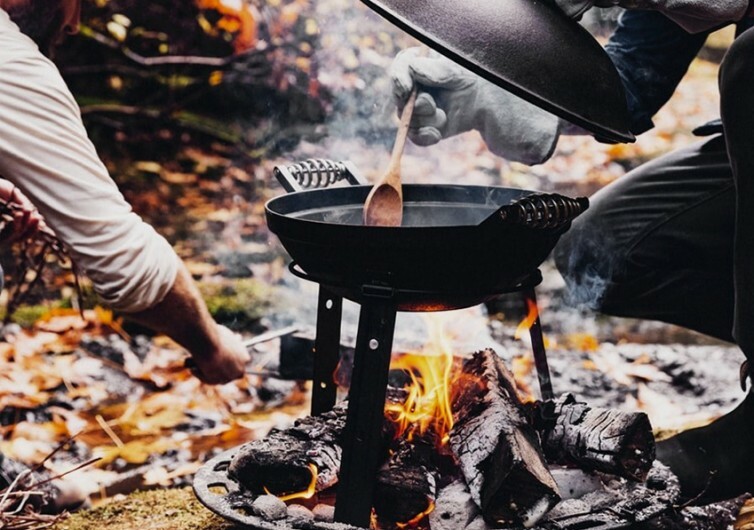 The use of cast iron alone is enough indication of the Barebones’ toughness, something that you would want to have when preparing a sumptuous feast out in Mother Nature’s backyard. 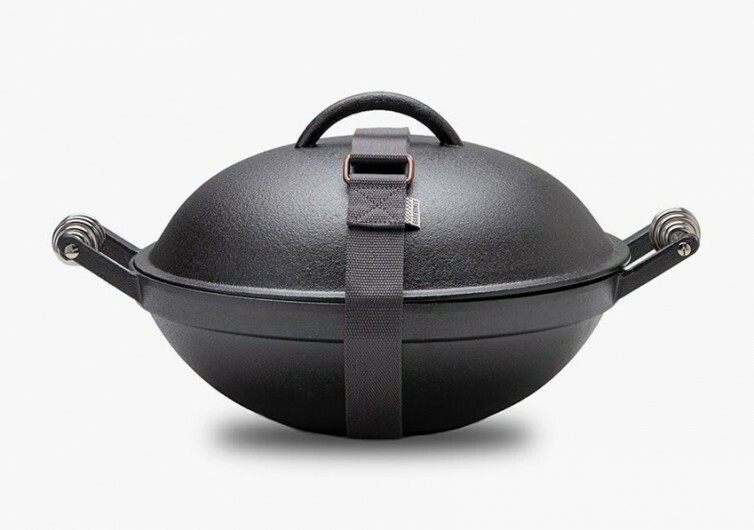 The 13-inch wok base doubles as a grill, a cast iron skillet, a braiser, a smoker, a deep fryer, a stock pot, a slow cooker, and a roaster to give you a one-piece-does-it-all kind of cooking implement. 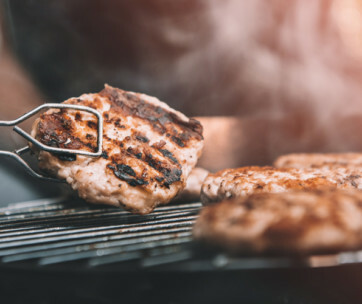 Cast iron pots and pans have been preferred over the millennia because of their remarkable strength especially when subjected to the highest possible cooking temperatures. 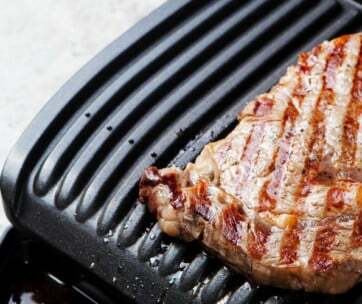 When seasoned well, these can be more formidable than conventional non-stick pans and pots. Such durability and strength are very evident in the way the Barebones is designed and constructed. The tripod stand is as sturdy and hefty as the wok base while the coal tray is built to withstand the extreme heat generated by live coal. 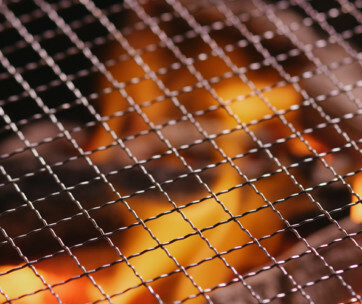 There’s a baking steel and a grill grate to complete the outdoor kitchen wonder. The charcoal tray even comes with its own wind guard, keeping your heat source fully alive. Countless configurations await those who have the imagination. And when it’s time to pack up, everything can be placed into a self-contained bundle to give you remarkable portability. 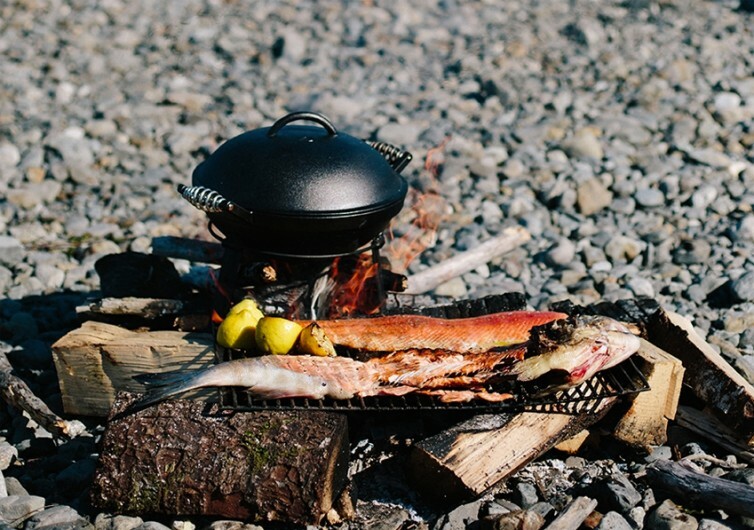 Whether it’s with direct or indirect heat or the use of live coal or open fire, the Barebones can cook up delicious wonders. Of course, you’d still have to take care of the ingredients and the actual process of cooking. But with almost everything duly accounted for, this is one kitchen contraption that can turn a home cook into an outdoor master chef.